Thank God competitive League of Legends is back. 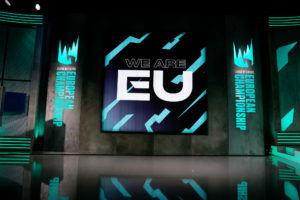 The inaugural League of Legends European Championship (LEC) season has begun and it has already exceeded expectations. The early signs show that we’re in for a special year, and there’s never been a better time to be a European LoL esports fan. 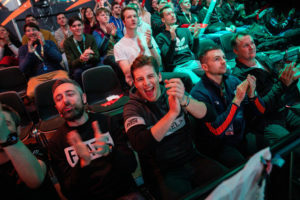 After the excitement of the opening two weeks, here are the five biggest talking points from the LEC so far. Europe outmatched North America during last year’s World Championships and this year, Europe has won the battles off of the Rift. The LEC has been enhanced with a revamped studio and stunning graphics. Every broadcast has been brought to life thanks to the fantastic branding designed by DesignStudio – the same studio that rebranded both the Premier League and the Champions League. The LEC’s broadcast talent, including new addition Indiana ‘Froskurinn’ Black, have also been given full creative license, resulting in hilarious pre-season hype videos and on-air segments during Ready Check. All of these changes have been made in order to separate the LEC from its sister league across the pond and it’s so far proved to be effective. The league has managed to attract a number of endemic and non-endemic sponsors while the opening weeks sported great viewing figures. Last year, Fnatic made history as the first European team to reach a World Championship final since themselves back in season one. 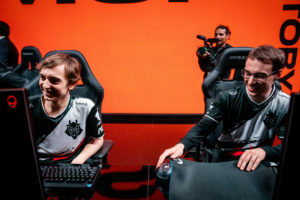 However, Paul ‘sOAZ’ Boyer decided for a fresh start at Misfits while a chance to play for G2 alongside mid-laner turned ADC Luka ‘Perkz’ Perkovic was too tempting for Rasmus ‘Caps’ Winther. New rookie mid-laner Tim ‘Nemesis’ Lipovsek has shown glimpses of talent but understandably doesn’t have the confidence to try and carry a game. Veteran players like Martin ‘Rekkles’ Larsson should be leading by example but even the superstar Swede is struggling, recording a diabolical KDA of 1/8/4 against Schalke. Four of the five players from that Worlds final team remains, but Fnatic has had an appalling start to the season. On the opening game of the season, the organisation was obliterated by SK Gaming’s fresh-faced squad only for server issues to force a remake. Fnatic was given a second chance but still couldn’t secure the win and they still remain winless after week 2. Going into week 3, Fnatic will take on Rogue, the only other team without a win, before a blockbuster match against league leaders and bitter rivals G2. Can the black and orange brigade turn their season around? The amount of top tier talent that has come through Europe is incredible – just look at all of the European imports in the LCS. While an increase in funding has seen an increase in Korean imports in Europe this season, most notably Kang ‘Gorilla’ Byeom-hyeon, there are also a host of new rookies coming up to. Impressing in week one was SK Gaming’s jungler Oskar ‘Selfmade’ Boderek who dominated Fnatic in both of their games. Teammate and fellow rookie Jus ‘Crownshot’ Marusic has also impressed, holding his own against some of the league’s top ADCs. 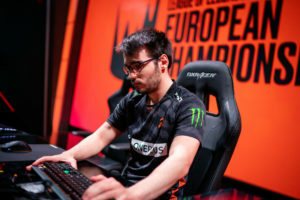 And of course, we can’t talk about European rookies without bringing up mid-laners – there are three new mids this year looking to follow in the footsteps of Soren ‘Bjergsen’ Bjerg and Enrique ‘xPeke’ Martinez. As well the aforementioned Nemesis, Splyce and Schalke are also fielding new mid-laners in Marek ‘Humanoid’ Brázda and Felix ‘Abbedagge’ Braun. Voting for the rookie of the split will not be easy this year. Does Europe have two super-teams? Going into a new season, the roster merry-go-round sometimes goes perfectly for one team – leading to a super-team which looks ridiculous on paper. However, somehow Europe this season appears to have been blessed with two thanks to G2 and Misfits. The combination of Perkz and Caps is frightening enough but the addition of aggressive support playmaker Mihael ‘Mikyx’ Mehle makes this potentially the most mechanically talented team we have ever seen in the west. G2 are the only undefeated team in the league and have done so with ridiculous compositions including the triple threat poke comp of Zoe, Karthus and Jayce. 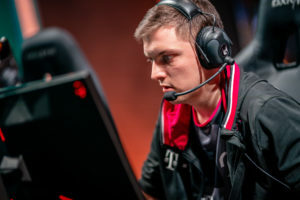 Meanwhile, Misfits also made huge moves in the free-agent market, picking up two of the biggest legends to have ever played the game in sOAZ and Gorilla as well as talented mid-laner Fabian ‘Febiven’ Diepstraten. There were rumours that the team had been struggling in scrims but there were no signs of that on stage. The team made the opening week look like an AGDQ speedrunning event, making short work of Rogue and SK Gaming. In week two they also picked up an impressive win over Origen before stumbling against Vitality. Misfits still have work to do but the potential is clearly there, week 5’s match between them and G2 can’t come soon enough. With the creation of the LEC, four new teams entered the league although two were familiar faces in Origen and SK Gaming. That leaves fresh-faced Rogue and Excel as the only true newcomers this season and it was the latter who came out on top when the two teams faced off in week one. Marc ‘Caedrel’ Lamont’s aggression paid off in the early game as the British organisation controlled the game for the win. It was never going to be easy for the new orgs and that Excel victory is still the only win between the two – there’s a reason Excel labelled themselves as plucky underdogs. However, Excel is the only team so far this season to have nearly taken a game off league leaders G2. After a few well-played fights, Excel held a massive lead but a sensational solo performance by Caps on Akali cost them the game. Excel have shown exciting promise already this season while Rogue appear to be missing a key player who can step up and carry – they will be waiting for the Summer when young mid-laner Emil ‘Larssen’ Larsson will be able to join them. All images courtesy of lolesports on Flickr.